Powers the warm tonality of the blond. 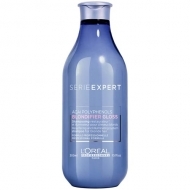 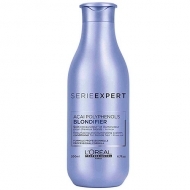 Blondifier Warm Blonde Perfector from LOréal Professionnel is a spray with concentrated beige pigments to blend with the Blondifier mask or Powermix to neutralize yellow tones. 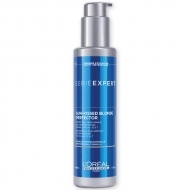 Mix 4 doses in 15ml of mask or 3 doses in 10ml of Powermix;Apply the treatment on washed and moist hair;Leave on for 5 minutes and rinse.